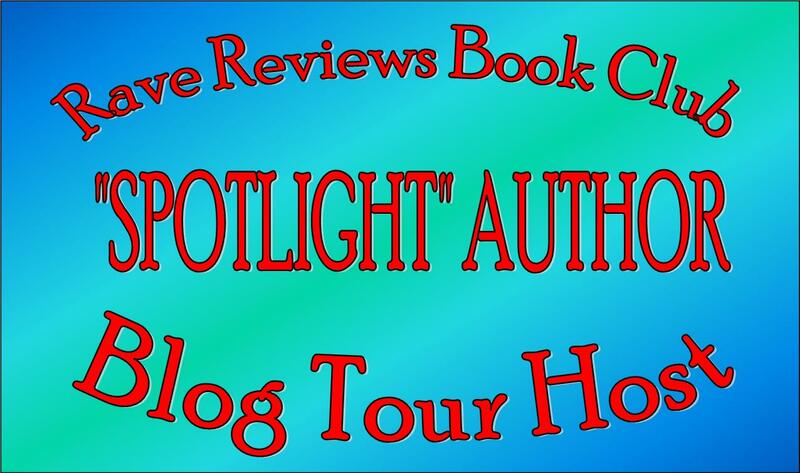 Welcome to #RRBC Spotlight Author Blog Tour! I enjoy writing about Decker, the lead character in the Drill series. With 260 pounds of muscle packed onto a 6’5″ frame, he truly is larger-than-life. After failing to save someone close to him when he was 25, he built his body into a weapon and learned how to use it. Now, 15 years later, he tries to keep his streets as clean as possible while working as muscle for hire. At this point, there are six books in the Drill series that have been outlined and are in various stages of completion. In each, Decker’s career as an enforcer puts him into difficult situations, and I get the fun of writing the details. It isn’t always easy, because Decker occasionally disagrees with my vision for him. But he does let me have my way more often than not, and I get to put my memories of Saturday morning serials to good use. A brutal experience transforms an unproven young tough into a ruthless killing machine. For 15 years he waited, building his body into an unstoppable weapon so that vengeance would be had through the strength of his will and the power of his hands. Rhani D’Chae is a visually impaired writer, reader, and lover of cats. 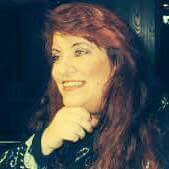 She is currently working on the second book in the Drill series, about an unrepentant enforcer and the violent life that he leads. I’m so glad you stopped by to support Rhani. 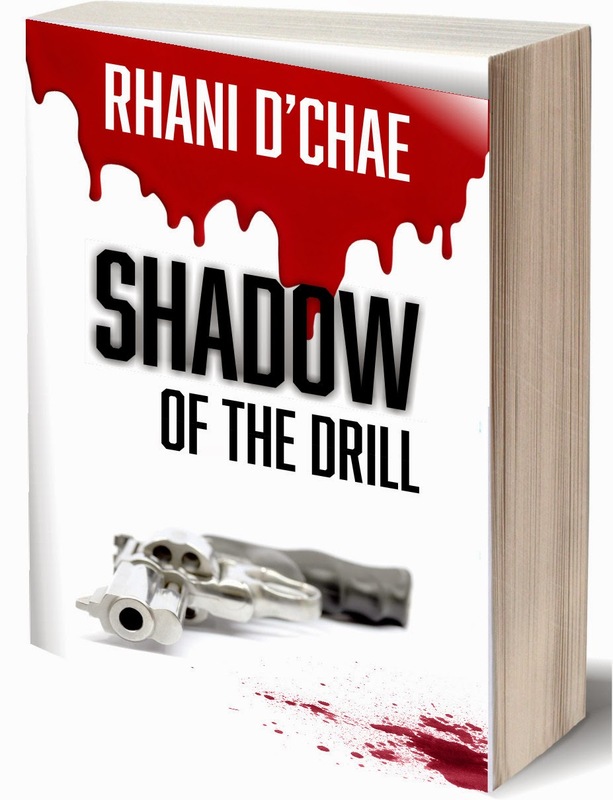 And I promise you will enjoy Shadow Of The Drill as much as I did. Be sure to check out her Spotlight Author Month’s Schedule so you don’t miss what’s next in store for this dynamic author. This entry was posted in Guest Blog and tagged A Moment With Decker, BLOG TOUR, Drill series, RHANI D’CHAE, RRBC, ruthless killing machine, Shadow of the Drill, SPOTLIGHT AUTHOR, visually impaired. Bookmark the permalink. Yay, Rhani, for getting this amazing honor! You earned it! Yay, Shirley, for being such an awesome supporter! Yay! Decker! I remember this scene from the book. I am excited to know that I have so much more of your writing to come, Rhani. Tell the ‘Drill’ to behave himself or else … oh wait a second, nyah, skip that idea, he’s just marvelous when he’s misbehaving. Thanks for hosting this marvelous leg of the tour, Shirley! OMG what a scary situation he is in! I certainly want to find out what happens next. get himself out of. He hit’s me with writer’s block so often, he had this coming! 😅 Thanks so much for stopping by. I loved Shadow of the Drill. This story is a true thrill ride! Rhani, you are a talented writer. I am so glad to see you on a blog tour. This lets the world know who you are. Best wishes to you. Thanks for your amazing support in hosting, Shirley. You are one of the real stand-outs among RRBC members. I am privileged to call you friend. Beem, thanks so much for stopping by, and for your very kind words about Shadow. Praise from you means so much. 😊 Thank you for your continued support. Beem you know my day is not complete without a visit from you. Its almost like coming home because we live in the same state. And Rhani appreciates your support as well. Thank you so much for always being there for me and others. I’m eagerly awaitng the next in this series! Rhani, I’m being drawn further into this story. It’s going to be such a thrill for me when it tops my TBR pile! Thanks for adding it to your TBR list. I sure hope you like it! 😃 Thanks so much for taking the time to stop by. Rhani, I will not speak another word until I get a new book on “your boys!” And you know how busy I am, Missy! IT IS A MUST THAT I SPEAK so you get busy! Thanks, Shirley for hosting on your beautiful blog! Nonnie you light up my life! Wait!! Didn’t I hear that somewhere before? I’m so glad to see you here. Sorry but I’m catching up to what has been going on over here and I’m thrilled to see all the new faces for Rhani. Thank you “Wonder Woman”! You made my day. lol. Letting people know more about certain characters is a great way of promoting one’s work. Well done, Rhani. Thanks for hosting, Shirley. Kev I’m glad you stopped by to support Rhani. Decker definitely is an interesting character, especially the way Rhani introduces him. Makes you fall in love with the bad guy. I would not want to be in Decker’s place in this scene. Great excerpt, Rhani! You’re really hitting the strides on this tour. Congrats! And many thanks to Shirley for hosting! I would certainly want Decker on my side in a fight! It’s a thrilling book! I remember that scene, Rhani. It was one of those time, in the read, that I held my breath! :(, and praying for Decker. 😀 Sometimes, one forgets that one is reading about imaginary people! 😀 Thank you, Shirley, for hosting her. Well Rhani you know the feeling is mutual. I can’t forget the wonderful things you did for me over our time knowing each other. I was truly thrilled to be hosting you. I admire your work very much. In fact there are so many members who are so good and getting the chance to showcase their talent is a plus for Indie Authors who belong to this special club. Hugs & kisses to you! Thanks D.L. and Micki for stopping by. This excerpt, left me at the edge of my seat–wanting for the story to continue! I can not wait to read this book, Rhani! Wonderful post for thani. She has a great writing style and I look forward to her next books. Thanks, Shirley for hosting her.